A quite interesting and accessible history of prehistoric Ohio. Very cool. Two weeks before the new school year, I at last finish up my Archeology reading from last semester... Seriously though, this is a very readable survey of Ohio's prehistory. Possibly a little too readable- many of the author's flights of fancy into the lives of prehistoric peoples are more entertaining than necessarily accurate. On the whole, though, it is one of my favorite assigned reads. Loved the pictures and the "coffee table book" layout! 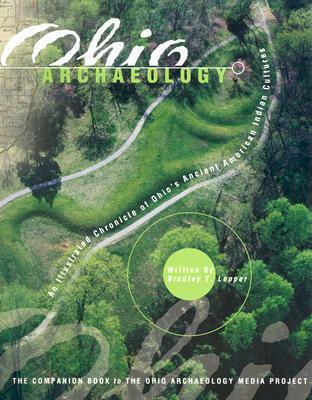 Quite interesting - Written by the curator of Archaeology for the Ohio Historical Society - it shares what is known and unknown about Ohio native americans of the Paleoindian Period; Archaic Period; Early, Middle and Late Woodland Periods and the Late Prehistoric Periods. Encompassing 14,000 to 400 BP. Much attention is given to the Mounds in Ohio and some of the history of Archaeology in Ohio. Very enjoyable, an easy read. Lots of wonderful information in very readable and understandable language. Best book I have read about Ohio's early, middle, and woodland Indians.